Prime Minister Hun Sen accused the UN High Commis­sion­er for Refugees on Thursday of grant­ing asylum without consulting with Cam­bodian authorities. 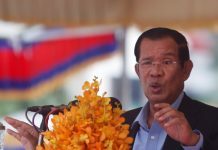 “Some immigrants came from Afghanistan, Pakistan, Africa and Nigeria,” Hun Sen told a conference on Cambodia’s 2008 economic prospects.­ “I want to ask [UNHCR] why they have accepted political immigrants without first asking for permission from the government,” he said. “If the Taliban ruled, rights should be given to immigrants. But currently the Taliban are not in power. 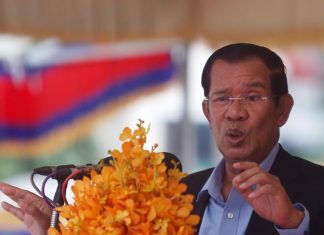 So why are Afghans coming [to Cam­bodia]?” Hun Sen asked. “Where is the territory of [UNHCR]? 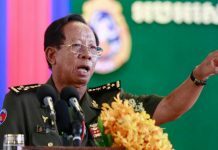 Why take land from Cam­­bodia to give it to immigrants with­out asking permission from Cam­bodian authorities?” he asked. Cambodia is one of the few regional signatories of the 1951 refugee convention, which calls on governments to provide protection to recognized refugees. Regional UNHCR spokeswoman Kitty McKinsey said Thursday that only a handful of the refugees being processed by the agency’s Cam­bodia office came from the countries such as those Hun Sen mentioned— so few that revealing their number could risk identifying them. “UNHCR does the refugee status de­termination process together with the government. We work closely with the Cambodian Ministry of Foreign Affairs and Ministry of In­terior and we’re completely transparent in what we’re doing,” she said. “In most countries in Asia, there is a small number of people who are from as far away as Afghanistan or Af­rica and their cases are handled on an individual basis,” she said. Interior Ministry spokesman Lieutenant General Khieu Sopheak said that officials were sometimes unaware of the arrivals of some re­fugees who travel directly to UNHCR’s office in Phnom Penh. “Some of the refugees know the UNHCR headquarters themselves. They come to Phnom Penh without any notice to the government,” he said.